I live, I distort, I slay, I’m content… Burt 2.0 is ready for download. We hope to get Burt 2.0 ready before Christmas! We’re working as fast as we can, I think there’s more people waiting for Burt than Santa. I surely rather have Burt for a visit! Burt 2.0 is mostly a bug fix for 1.0 but with some changes that will make presets and patches for 1.0 useless, hence the new version. We might implement the bug fixes into 1.0 too if enough people request it but we don’t think that many bare to use the old version due to it’s nasty and random silent-bug (which we’re sorry for). Here’s a quick and dirty screen recording when Johannes try to push Burt 2.0 Beta into bug-land and succeed to do so at 4 min where Burt goes silent. In version 1.0 when you restarted your project after that Burt crashed it would still be quiet and it seemed impossible to make him come back to life again. NOW; In version 2, everything will be back to normal when you restart your project! Yay! 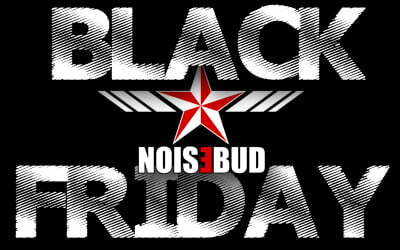 Yes, tomorrows the buyer frenzy Black Friday so we’ll have a hefty 50% discount on the “All Plugins Bundle”.